Taurine is a conditionally essential amino acid that is not utilized for protein synthesis, but is mainly found free in most tissues, especially throughout the nervous system. 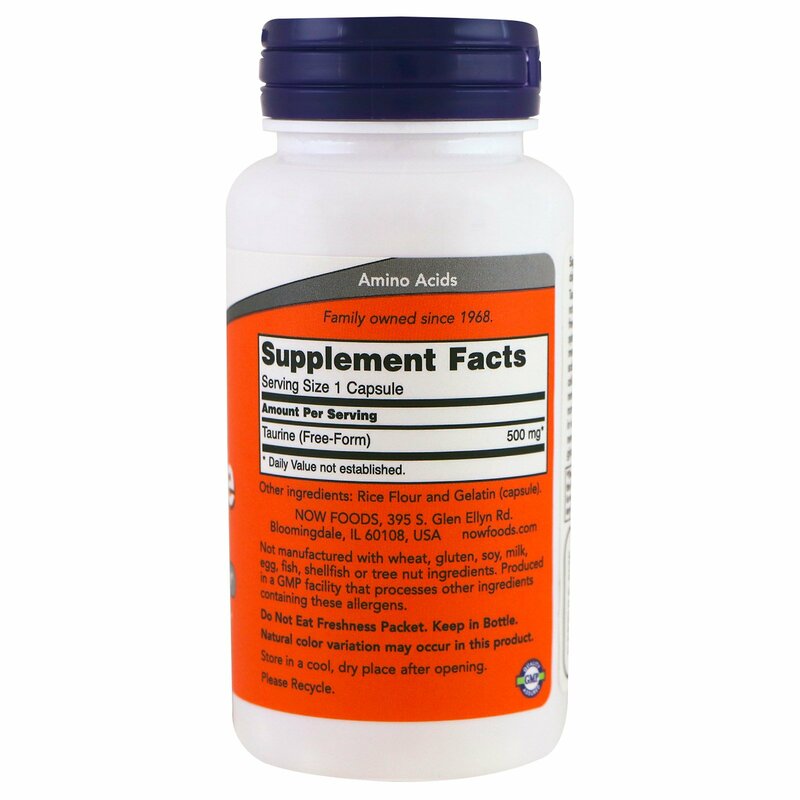 It functions in tissues by stabilizing cell membranes, aiding the transport of potassium, sodium, calcium and magnesium in and out of cells. 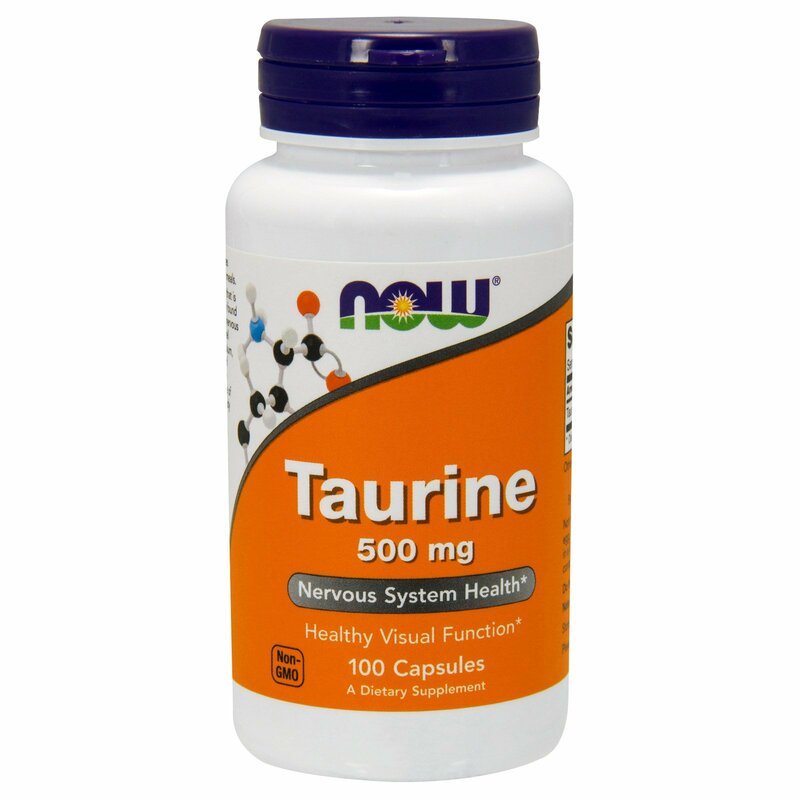 Taurine helps to generate and regulate nerve impulses and supports the maintenance of normal fluid balance; it is also used by the body in visual pathways, as well as in the brain and nervous system, where it works together with glycine and GABA as a neurotransmitter. 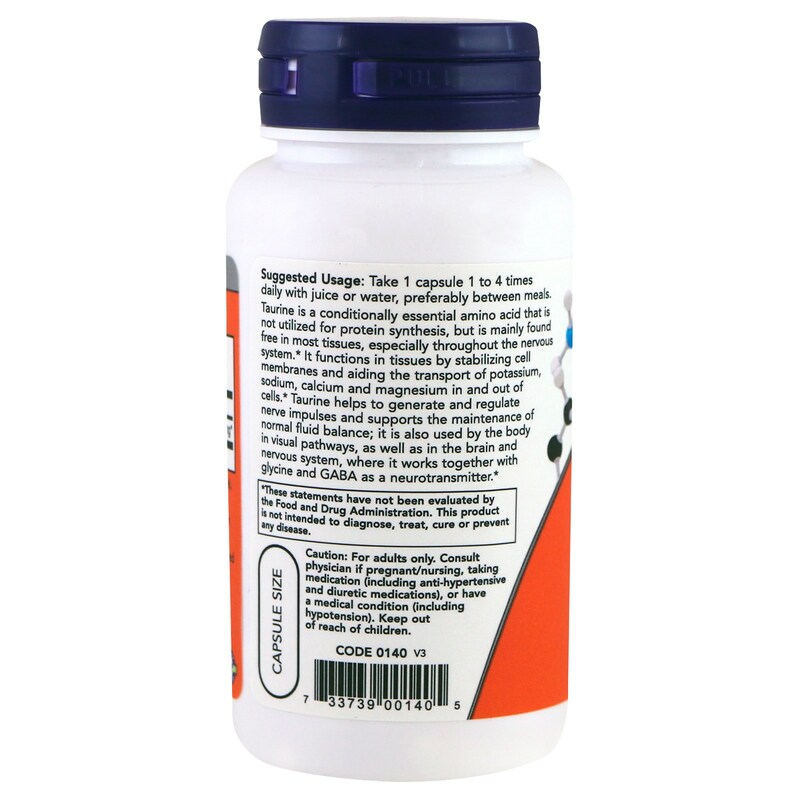 Take 1 capsule 1 to 4 times daily with juice or water, preferably between meals. Caution:For adults only. Consult physician if pregnant/nursing, taking medication (including anti-hypertensive and diuretic medications), or have a medical condition (including hypertension). Keep out of reach of children.